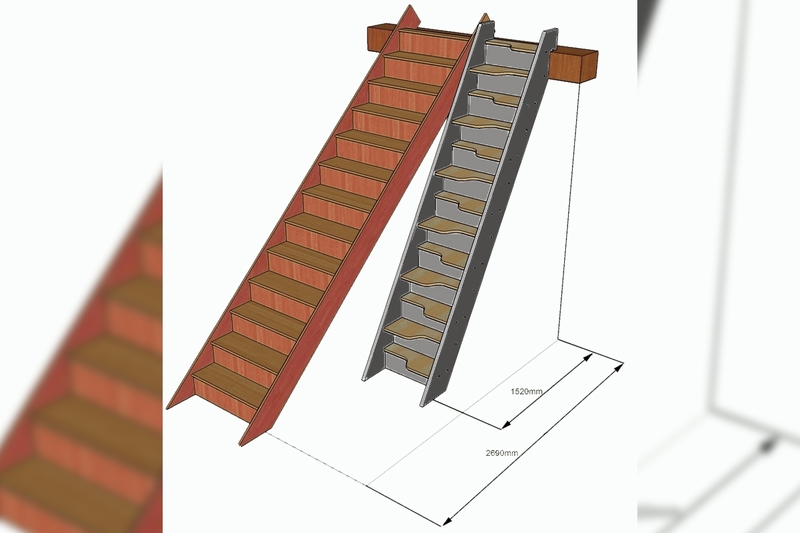 Pear Stairs is a manufacturer of unique, sustainable and affordable staircases and can provide you with all of your stair parts through our online store. 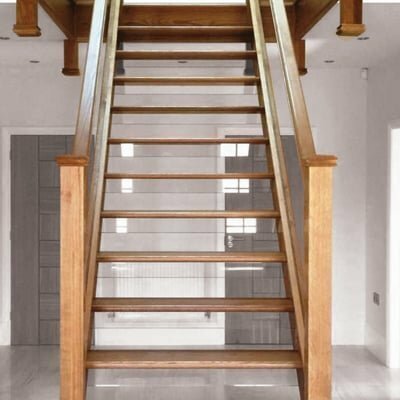 We are experts in stairs and stair parts and can provide balustrades, newel posts and newel caps, stair spindles, stair treads, stair stringers and glass staircases, as well as curved staircases. As Britain's biggest direct-to-end-user supplier and manufacturer of stairs and stair parts, we pride ourselves on being one of the leading stair designers in the UK, offering high quality and bespoke designs at very competitive prices. 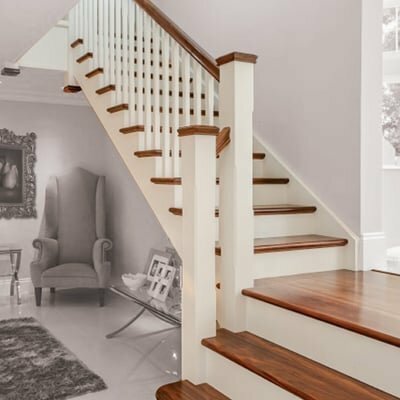 For over 100 years, Pear Stairs has been working with the best designers, craftsmen and technology to produce stairs to suit every customer's design. Most recently, we have developed the technology required to produce what we're confident are the best quality, most affordable curved staircases as well as all of the other designs in the UK. 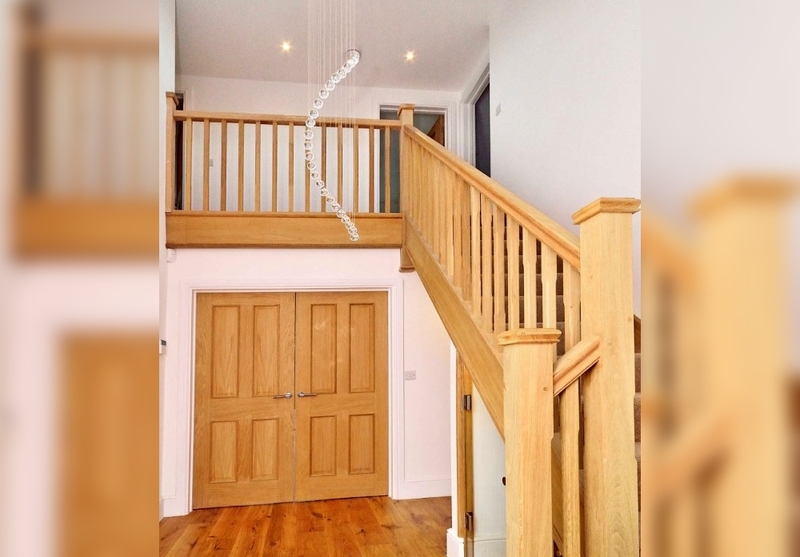 Subject to a standard specification, we aim to complete your staircase design, manufacture and despatch within 7-10 days, following receipt of a confirmed design (this may vary during very busy periods). 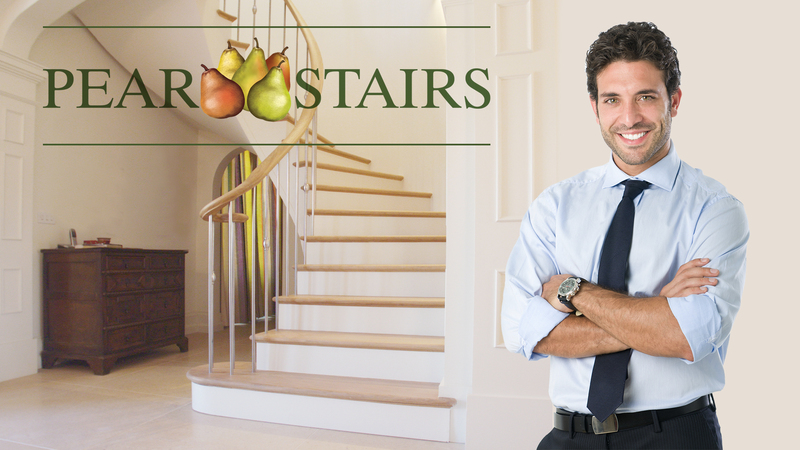 "Pear Stairs brings quality staircase design to the heart of your home." "I could not have got better value or service anywhere else and will definitely be using your service again. From approval of the design on a Friday afternoon I received the staircase the following Wednesday! INCREDIBLE!" Matthew from Farnham, Surrey. "Would like to say thank you for an excellent service and for arranging delivery to suit my needs. 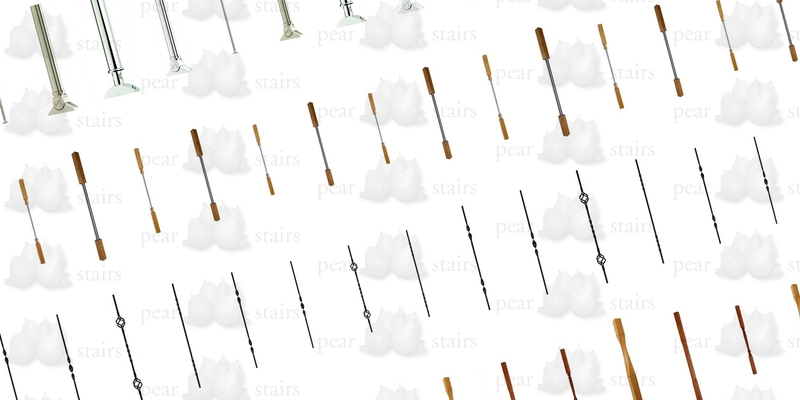 I will certainly consider Pear Stairs if I need anything similar in future." Mark from Dundee. 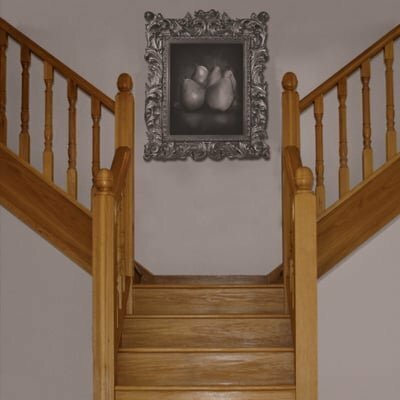 How can pear stairs make a difference to your home? 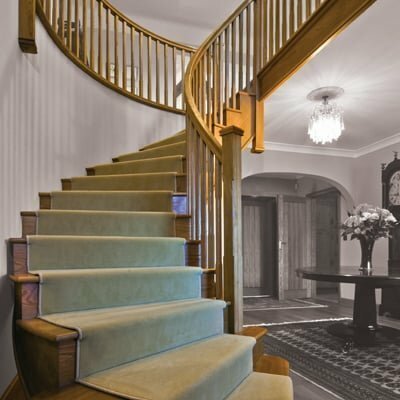 At Pear Stairs, we know that your staircase is at the centre of your home; so it's important to get it right. Here's what we can offer to help you achieve your perfect design. 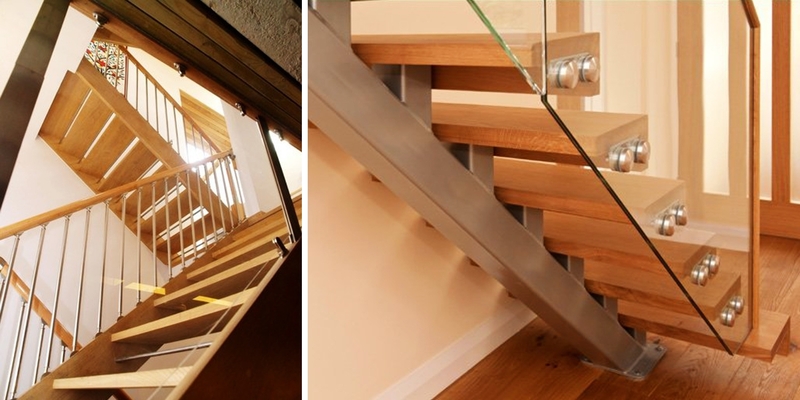 We can mix glass stairs and metal stair parts with any timber, so you can design your staircase with freedom. 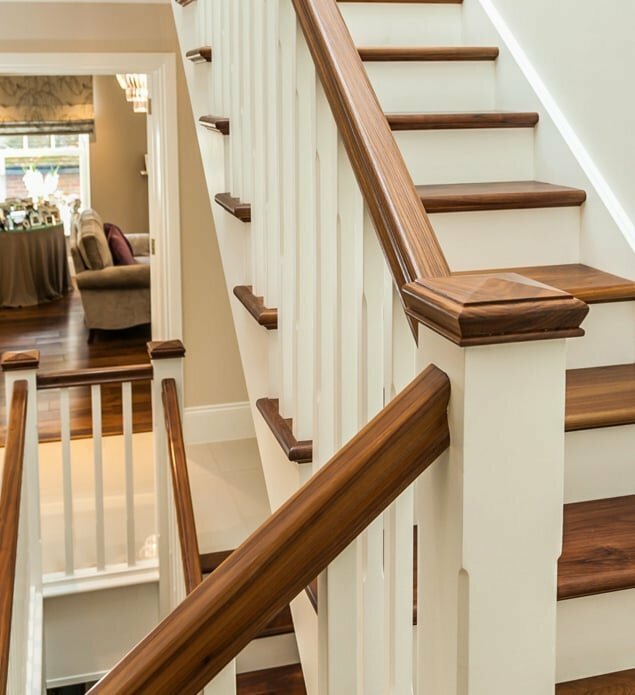 We take pride in our extensive range of durable, hard-wearing and affordable stair parts that won't cost the earth: we offer eco-friendly products of only the very highest quality. 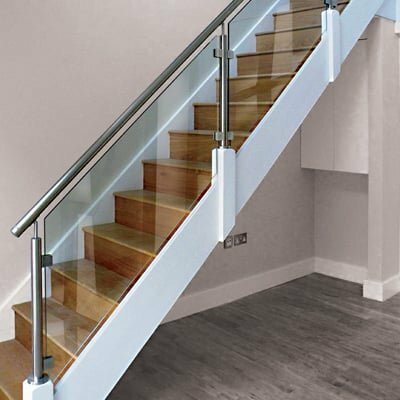 What's more, our stair parts are suitable for staircases of all shapes, sizes and styles, so whether you have standard or bespoke, you're sure to find just what you're looking for in our online stair parts shop. If you require a bespoke staircase, or have your own ideas, then there is no better stair company you could approach - just look at the variety of bespoke and unique designs in our vast catalogue of (stair)case studies. Plus, we've designed a free, interactive staircase designer, so you can visualise the design you want and get a full quote in a matter of minutes, with no commitment to buy from us. If you choose to place an order with us, we will allocate a designer who will be in touch to discuss your design and remain on hand should you have any questions. 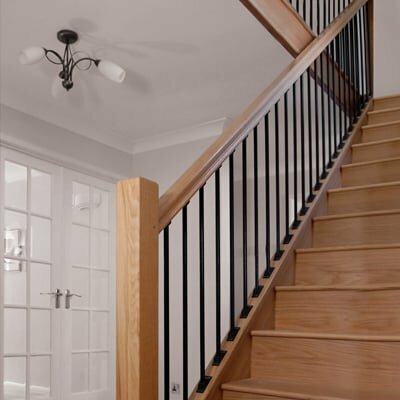 All of our staircases are dry-fitted in our factory after manufacture, saving your carpenter, joiner or installer hours in on-site installation time. Some of the best feedback we've had from our customers has been on the ease of our installation. Subject to a standard specification, we can deliver your order within 7-10 working days after receipt of a confirmed design (this may vary during very busy periods). Getting your perfect staircase manufactured, delivered and installed needn't take months.